Major Gerald A. Gustafson was born in Illinois during 1921, son of Sara A. & Dr. J. Eric Gustafson, MD. After graduating from high school in Stockton, Illinois in 1939, he spent the next 4 years in the ROTC program at Wentworth Military College. Major Gustafson joined the Army in April 1943 and graduated from Infantry Officer Candidate School in December 1943. During World War II, Major Gustafson served with the American Japanese 442nd Infantry Regimental Combat Team in Italy and France from February 1944 through August 1945. He also served during the occupation of Germany from 1945 to 1947. During the Korean War, Major Gustafson served with the 1st Battalion, 7th Infantry Regiment and with Headquarters, 7th Infantry Regiment, 3rd Division. He served in Korea from January to November 1951. Major Gustafson was to serve his nation once again in wartime, this time during 1963 in South Vietnam. There he served with the Military Assistance Advisory Group. He retired on 30 April 1964. Major Gustafson married Honey Siciliano in 1949 and raised two sons and a daughter. After retiring from the Army, he attended and graduated from Arizona State University in 1966. He taught high school for 18 years in Phoenix before retiring once again in 1985. 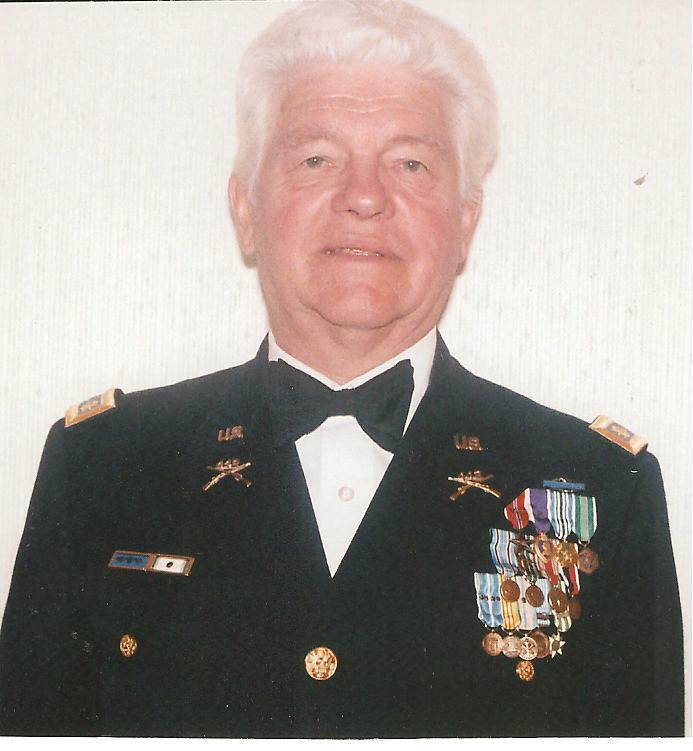 Major Gustafson was our 17th Chapter President, serving in 1971. 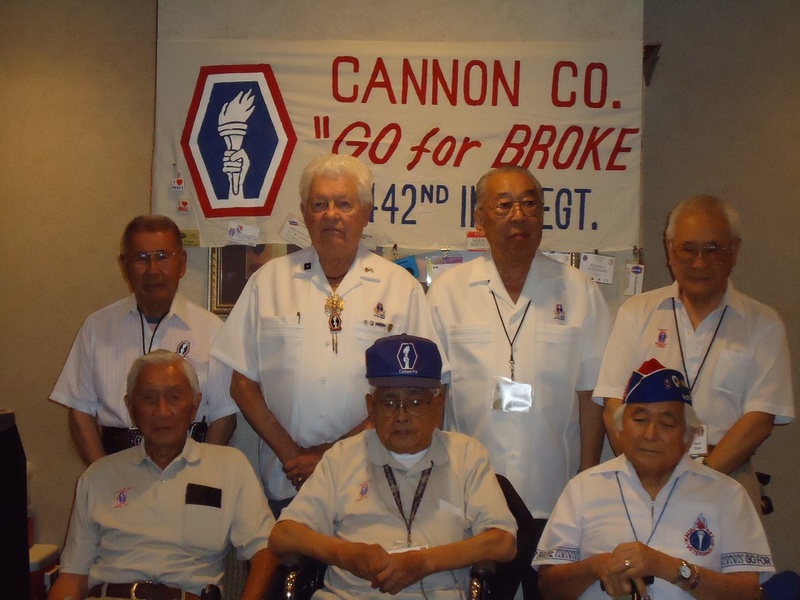 MAJ Gustafson, 2nd row, 2nd from left, at the 2010 veterans reunion of his WW-II unit, Cannon Company, 442nd Infantry RCT. On 20 October 2010, the Congressional Gold Medal was awarded to the 442nd Regimental Combat Team (RCT) in recognition of their dedicated service during World War II.